Pat Howard is smart when it comes to snakes because he studies them and works with them. 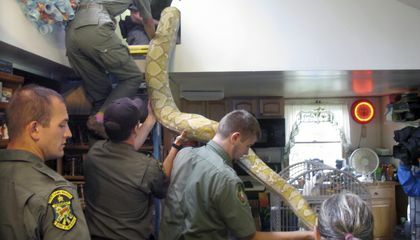 I think it was cool that they found that big of snakes and that the female was bigger. It's also a good thing he handed them over to the warden to take care of them. He was smart to hand over the snake because he could no longer handle them. snakes are very scary if they are that big, i would be teriffied, it must be hard to capture something that big and dangerous. Pat Howard is smart about snakes because he says, " smart enough to realize that a snake is bigger than I can safely take care of." What I found interesting was that someone kept two of these snakes as pets until they became to big. The snakes surprised me because they can get up to 30 feet and weigh 350 pounds because I would not want to keep a pet that would eventually get bigger than me. 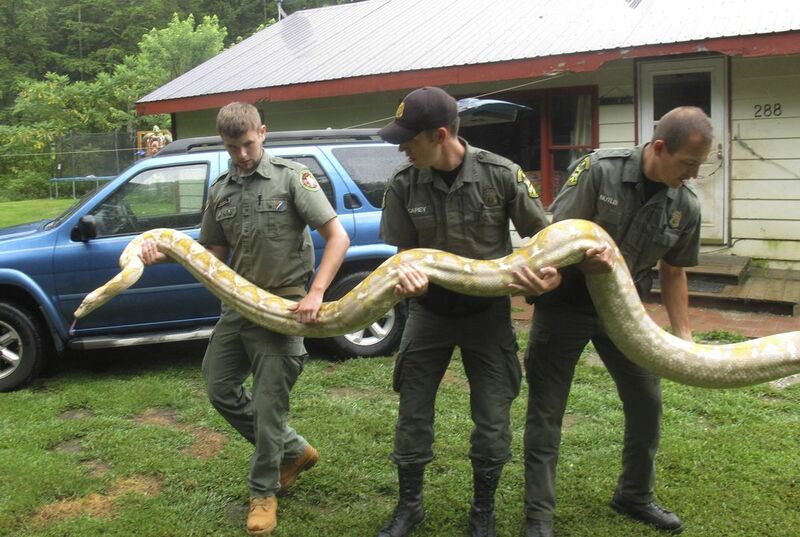 What is the biggest snake in the and how much did it weigh? I didn't know that snakes can get to the size of 30 ft. long and weigh 350 pounds. Luckily no one got hurt. them snakes are huge. I would not want to get in its was. That actually could eat an elephant! !